Молибденовый спрей для литых пуль Lyman Super Moly не плавится при высоких температурах, повышает ресурс ствола, уменьшает загрязнение и увеличивает кучность. Нет специальных требований к хранению и транспортировке. 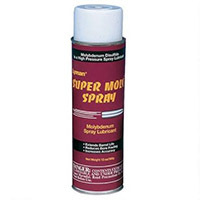 Super Moly Spray coats bullets quickly and easily without the use of a reloading tumbler. Simply spray on bullets and allow to dry for a few minutes. 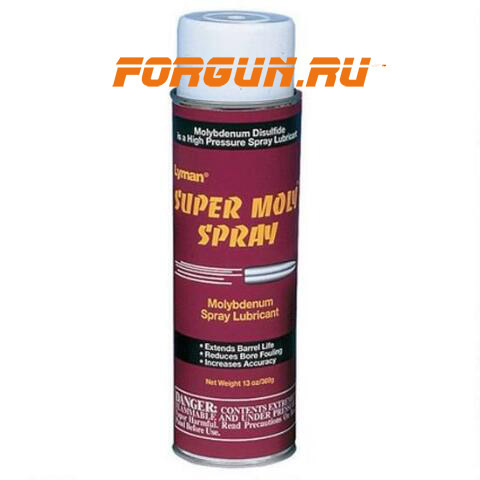 This thin spray coating can be used for Moly coating the bore and rifling of your firearm for total lubrication. It is also superb as a bullet mould release agent and rust preventative.